April is Child Abuse Prevention Month, when communities across the nation work to raise awareness of the devastating impact of this issue and to learn ways we can all join the fight to prevent it. Though April is designated as the official month to put this issue in the spotlight, in reality the fight against child abuse knows no calendar limits. It should be every day. It should be every minute. No child should ever face the terrible harm that sexual, physical, and emotional abuse brings. No child’s shoulders should ever expect to carry such a burden. But, each year millions of children in the United States are exposed to violence, psychological harm, and neglect (i). In the most severe cases, death has resulted, and the occurrence rate is alarming; in 2011, 1,545 children in the U.S. died as a result of maltreatment of abuse, and these are only the cases where a fatality could be directly linked to the abuse (ii). That is more than four children a day that die because a parent, guardian, caregiver, or other adult inflicts physical harm or fails to provide adequate care or protection for them. With so many of our children dying as a result of this type of violence, it is not a stretch to consider it a public health issue though it gains much less notoriety in today’s media. A quick Google search of health threats in the news will give you links to stories about avian bird flu, pertussis, smoking, and obesity, but child abuse doesn’t readily appear in the listings. The Centers for Disease Control and Prevention, thankfully, does list child abuse as one of the leading concerns of 2013, last on the list (right under parasitic diseases) (iii). Chenango County is unfortunately not immune to the existence of child abuse. While it is a fact that many would rather not accept, it is right in our midst every day. 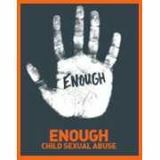 The number of child abuse reports in our county has climbed steadily, as has the number of children in these reports and the number found to be “indicated” (meaning the investigation revealed significant findings of abuse or neglect). In fact, from 2005 to 2010 reports have increased almost 77%, and the number of reports indicated rose 62%. The NYS Office of Children and Family Services maintains that rates in Chenango County for 2011 were more than double the rates statewide as a calculation of the percent of children in CPS reports compared to the percent of children in the local population (iv). The U.S. Department of Health and Human Services reports that for 2011, 75% of children in reports nationwide were victims of neglect, while 15% were physically abused and 10% were sexually abused (v). While it is factual and scientific to know the rates, numbers, and calculations, one fact remains clear to me: one child abused or maltreated is too many. Far too many. There is hope, however, amidst the pain and sorrow that child abuse causes. The New York State Chapter of Prevent Child Abuse says that individuals and communities can help keep children safe by understanding and fostering protective factors including friendships and supports, strong parenting skills and resources, assistance with family crises, promoting opportunities for families, and supporting child development (vi). Most importantly, if you think a child is being abused or maltreated, report it immediately. You can call the NYS State Central Registry at 1-800-342-3720. If you believe that a child is in immediate danger, call 911 or your local police department. In many child abuse investigations, including criminal ones, it is often determined that someone knew or suspected a child was at risk but did not report it, and sadly such a report could have made one of the biggest differences in a child’s life. Don't let this happen; if you have reasonable cause to think it could be happening, report it. As Director of the Crime Victims Program, my daily goal is to support the program services and staff members that assist victims of crimes, and it is a task I take great pride in. We have many talented and compassionate staff available 24 hours a day to assist victims, promote safety, and advocate for victim rights in the family and criminal courts. Our Child Advocacy Center is accredited through the National Children’s Alliance and is proud to partner with local police, child protective services, District Attorney’s office, health care providers, and other stakeholders in the fight against child abuse. Our list of services can be found on our program page of this website (click on “What We Do” and go to the Crime Victims Program page link). This April, please join us in remembrance of those children who have suffered and died, in recognition of the pain caused by child abuse, and our mission to prevent future abuse in all its forms. Let’s give our children their childhoods back. i U.S. Department of Health and Human Services, Administration for Children and Families, Administration on Children, Youth and Families, Children’s Bureau. (2012). Child Maltreatment 2011. Available from http://www.acf.hhs.gov/programs/cb/research-data-technology/statistics-research/child-maltreatment. iii Centers for Disease Control and Prevention, "CDS Looks Ahead: 13 Public Health Issues in 2013." Last modified 2013. Accessed April 5, 2013. http://blogs.cdc.gov/cdcworksforyou24-7/2013/01/cdc-looks-ahead-13-public-health-issues-in-2013/ . iv NYS Office of Children and Family Services, "2011 CFSR LDSS Data Packet." Accessed April 5, 2013. https://www.ocfs.state.ny.us/main/cfsr/counties.asp. v U.S. Department of Health and Human Services, Administration for Children and Families, Administration on Children, Youth and Families, Children’s Bureau. (2012). Child Maltreatment 2011. Available from http://www.acf.hhs.gov/programs/cb/research-data-technology/statistics-research/child-maltreatment. vi Prevent Child Abuse New York, "Learn About Prevention." Accessed April 5, 2013. http://www.preventchildabuseny.org/resources/learn-about-prevention/.